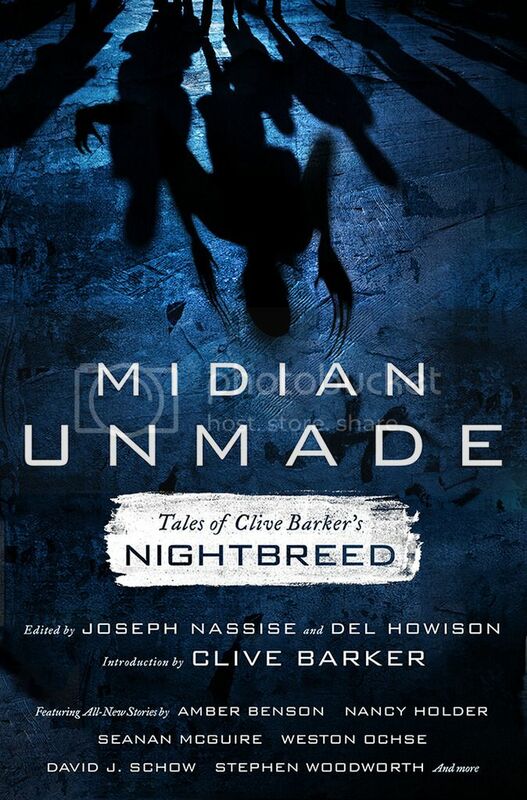 Clive Barker is the possessor of one of horror’s most imaginative and limitless minds. His sadistic perception of terror has sent chills down the spines of readers for decades, and his works of fiction refuse to depart the memory. Monumental, or even profound, would be a fitting moniker for the legend, who initially garnered a cult following with his absolutely terrifying series, Books of Blood. To date six installments have been released, and in honor of a living legend, I’ll be covering all half dozen over the next month or so. 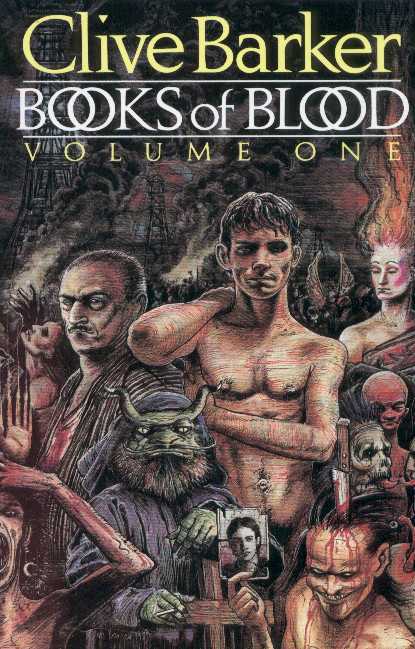 Today, we obviously begin with the first chapter of this paralyzing series: Books of Blood: Volume One. There’s an inimitable theme that travels the course of this collection, and I only offer that term because each story is significantly different, yet just about every piece focuses on one recurring premise: masochism, on quite a heightened level. Six stories breathe, feast and regurgitate within this collection, and each stands strong enough to anchor a Bible sized collection of the macabre. Barker’s intricate storytelling rivals – if not surpasses – the best in the business, as he delivers his tales in near poetic prose. Becoming completely entangled in the man’s stories feels effortless, so know that if you pick up a novel written by Clive, it isn’t likely to be put down until you’ve read the final sentence. The man’s work is absolutely addictive, whether you’re keen on graphic violence and descriptive gore or not, you will surrender to these horrors, and in the end, you’ll find yourself not only gratified (even if you feel a bit dirty), but anxious to obtain more of the man’s work. Trust me, I’ve been hooked from day one, and I will forever credit Mr. Barker as one today’s truly elite authors. I won’t afford you a rundown of each story to find home in Volume One, as that would likely take me more time than I’ve got to spare today, but I will highlight a few of my personal favorites. These are stories that cannot go overlooked and cannot be exorcised from the memory. I’m just here to remind you of such a fact. Volume One launches with an extremely brief tale of an oversexed, greedy schemer who’ll do anything to create the idea that he is indeed a powerful specimen. Marketed as a medium of sorts, this gentleman claims to hold a direct connection with the deceased: a connection that enables spirits passed to express their thoughts through his own hand. But Simon McNeal, our supposed ghost whisperer (if you will) is a fraud, and his journey into Number 65, Tollington Place is not destined to grant him a platform for grand illusion. You see, those of the spirit world aren’t keen on the idea of being exploited, and this young fool is about to learn, the bloody, violent way, that some doors should remain closed. Forever. 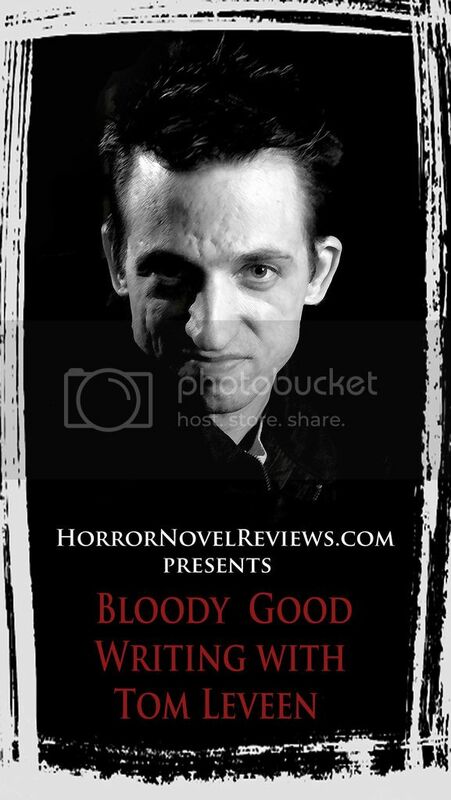 While “The Book of Blood” feels more introductory piece than actual short story, it’s twisted in every sense of the word, and tremendously rewarding. Barker offers a moral here, albeit shrouded in petrifying fear, and it’s extremely tough to miss. Our characters are few, but well-illustrated and McNeal’s final demise is a welcomed slice of humble pie… although quite extreme in lesson. 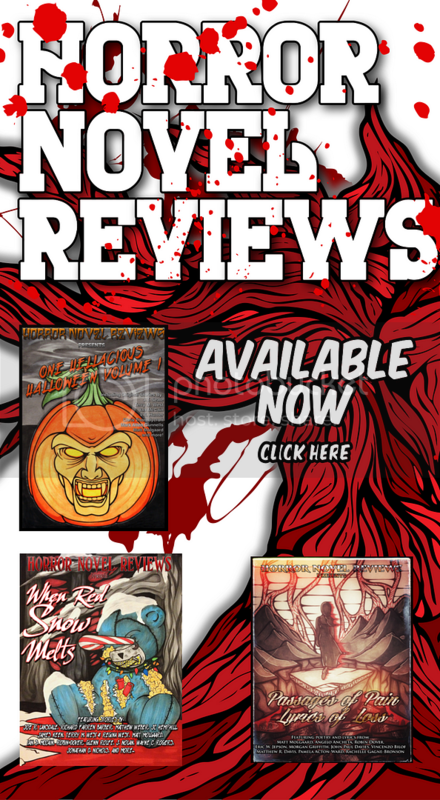 Another top notch offering from Volume One is the Book of Blood’s immediate successor: The Midnight Meat Train. This story, which eventually earned a long overdue screen transfer in 2008 is one of the most unnerving works I’ve yet to read from Barker. You see, The Midnight Meat Train serves as little more than a feeding den for age old monsters; founders of earth. What do they eat? Humans, of course. Mahogany, a hulking presence with no regard for the wellbeing of man performs these creatures’ bidding. He stalks the New York subway systems when the sun has set, and the unsuspecting head home for a little rest and relaxation. The fit never make it their: they become entrees for the vile underworld. Well, most do. In the case of Leon Kaufman, life is about to change drastically. His horrific transition begins after a long night of office work, when he enters the wrong Sub car. After stumbling upon a string of carefully carved corpses, he meets the menacing Mahogany, face-to-face. It’s fight or die, but not even Leon can predict what might await him should he successfully overthrow the villain that stands before him and an exit stop. Talk about a transfixing short, The Midnight Meat Train should rank at the top of your discussion pool. This story is frantic in its pacing, relentless in its violence and extremely graphic in all its bloody nature. Barker manages to turn the subway system into a functioning Hell, and he does so with elegantly crafted storytelling that should impress all fans of the genre. Do yourself two favors: seek out this story, and avoid the subway stations… for the rest of your life. The final story to be featured in Volume One that I’d like to shed a little light on, is Pig Blood Blues, a mortifying read that not only offers a sublime twist (or two), but squeezes the PC train until little more than bloody tissue cascades from a clenched fist. Perhaps the most taboo tale to be featured in this collection, Pig Blood Blues neglects all care for personal feelings or reader sensitivity. Barker gives it his all, pulling not a single punch and mixing a wicked blend of subgenre frights, placing a strong focus on the supernatural as well as the monstrous. To disclose many details of this story could potentially ruin it, rather quickly. So, I’ll do my best to keep this synopsis fleeting. A former man of the law takes a job at a remarkably strict boarding school (that’s about the best term I can use to describe this despicable unit), but rumors of ghosts lurking the grounds, and children gone missing lead our would-be hero to a stable where one atrocious animal awaits more than typical grub. Betrayal and a palpable evil live within this tale, and at the heart of the darkness rest’s the creature in the pig pen. One’s best bet for survival is to avoid this animals feeding grounds at all costs, but can a logical mind deny the call of curiosity? While I’ve placed my focus on only three of six stories, rest assured that there isn’t a “weak” effort to be excavated in the first volume of Books of Blood. 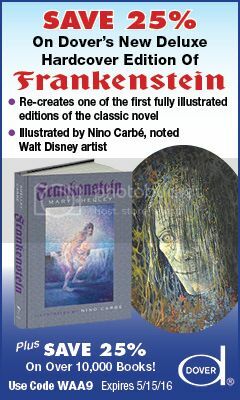 This is a fictional masterpiece that I hold in the highest regard, and the springboard for one of the best collections of horror to ever hit the market. I am currently revisiting those stories, after so many years, and they never cease to amaze. The passion we feel at our fingertips, or at our very extremities, only reflect the energies harnessed from Terra Incognita.